The only major change was i removed the Anubias sp. 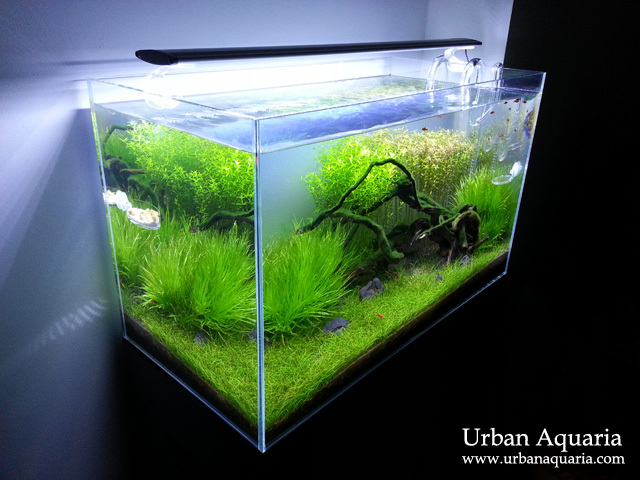 'Petite' carpet a few weeks back to aquascape another tank, which created a gap in the middle... so i harvested some bunches of Eleocharis sp. 'Mini' and re-planted them into the empty area to fill it in. No changes in lights, Co2 and ferts. The background plants are trimmed every 1-2 weeks to maintain their fresh growth (or when i'm less lazy). I recently did a big trim on the Blyxa Japonica and removed alot of it, so it looks less crowded.